Newly qualified Mental Health Nurse Luke Pybus, from Somerset, is delighted he made the career move to work in Wales. 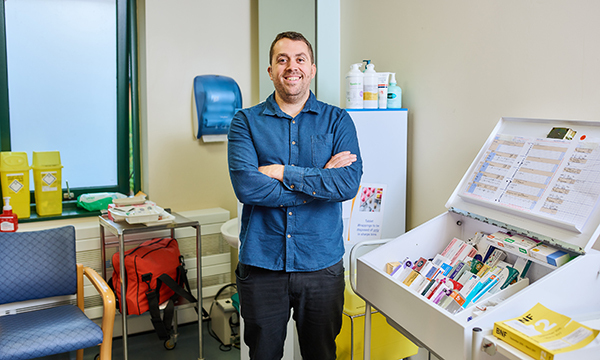 'I moved to Wales from South West England 10 years ago and in 2012, I decided to change my career path entirely and retrain as a Mental Health Nurse at the University of South Wales. 'I’ve been in my role since October 2016, but I’m already delighted that I made the career move. I’m kept on my toes every day, but the daily challenges make the job so rewarding. 'Throughout my nursing degree programme I’ve been well supported by my peers, mentors and lecturers, and this has continued since working at George Thomas Hospital. 'My hard work was definitely reflected when I was named “runner up” for the Royal College of Nursing Wales Student Nurse of the Year 2017 award. 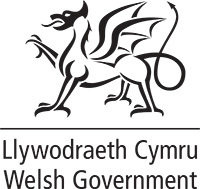 There are lots of opportunities to be recognised for your work in Wales. Wales is the first nation in Europe to introduce a law to protect nursing staff levels so you have more time to care sensitively for patients. Wales has a strong sense of community, affordable housing and great schools. If you’re tempted, we have a number of relocation packages which will help your move to Wales go as smoothly as possible. Our family-friendly working arrangements, including flexible hours, childcare vouchers and on-site crèche, means more time for you and your family to enjoy all Wales has to offer, from vibrant cities to unspoilt coastline and stunning countryside. Supported by the Welsh Post Registration Career Framework for Nurses and Midwifery 20:20, we offer opportunities for you to progress your career to clinical nurse specialist roles, advanced practitioner roles and consultant nurse and midwife roles. We put patients at the centre of care and recognise the value of nurses in achieving this, which is why we are committed to supporting your continued professional development at all stages of your career. 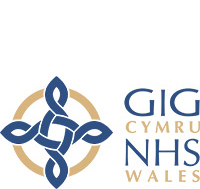 We’ve maintained the NHS bursary for those ordinarily resident in the UK who wish to join the profession and will commit to spend the first two years of their career in Wales. We also provide funding to support those looking to return to the profession to undertake their return to practice training in Wales.